Discover Australia's Aboriginal roots & culture with top things to do in Uluru! Uluru – an ancient landmark like no other, Aboriginal tales and customs shrouding its existence, the natural beauty of springs, waterholes and rock caves skirting its lands – enough mystery for a trip? 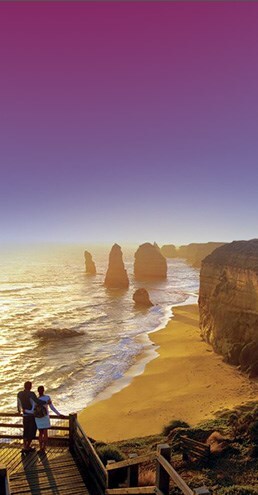 This and more is what Australia's most recognisable natural marvel has to offer you! An inselberg (island mountain) completely made of sandstone, Uluru or Ayers rock, is about 1,142ft high, with a total circumference of 9.4 km. It is not only the spellbinding vastness of Uluru that fascinates its visitors, the ever-changing colours of the rock are also very popular. Its unique rust colour is said to look different at different times of the day and the year, particularly during dusk and dawn. The uniformity and lack of jointing and parting at bedding surfaces is what makes Uluru, even more unique. When visiting Uluru, don’t forget to head down to the nearby Kata Tjuta formation, also called Mount Olga or the Olgas, lying 25km away. Both Uluru and Kata Tjuta are symbols of spiritual significance for the Aboriginal tribes of the Pitjantjatjara Anangu people. Also, these two landmarks are the major features of the Uluru-Kata Tjuta National Park, a UNESCO World Heritage Site. Explore things to do in Uluru and learn more about its spiritual significance! History of an ancient landmark dating back millions of years is bound to be interesting, right? Uluru is exactly the same, with cultural imprints on the land dating back to 10,000 years. Prominent among them are the historic rock art and the story-telling iwara or songlines, depicting the nature of the land in and around Uluru. The local Anangu tribals, known as the Pitjantjatjara people, tell tales of how this giant monolith took form. They believe that their land was once a barren region in which life was infused by ancestral creator beings, known as the Tjukuritja. Hence, they consider Uluru and its surrounds to be sacred places of worship. It is their belief that climbing Uluru or hiking on its surface is something that disrespects their culture. Hence, they request every passer-by to respect the spiritual significance of their ancient landmark and refrain from climbing. Officially though, you are free to climb this monolith, provided there are no restrictions owing to adverse climatic conditions. European explorers first found their way to this primeval landmark during the 1870s. William Gosse was the first to get to the monolith in 1873, and named it Ayers Rock. It became a National Park in 1970s, and was expanded to include Mount Olga. By 1985, the land was freed from all tourist settlements and was handed back to its traditional owners, the Anangu people, who in turn agreed to lease it to the Australian National Parks and Wildlife Service for 99 years. It was also renamed as Uluru/Ayers Rock, respecting the sentiments of the Aboriginal tribes. With Kata Tjuta/Mount Olga just 25km west to it, Uluru is now a coveted tourist destination, all the year round ! Buckle up for a personal spiritual experience and visit the mega monolith of Australia! By air, you can get to the airport near Yulara, known as Connellan or Ayers Rock Airport, which acts as a gateway to the park and has connectivity to all major Australian cities. Travel from the airport to Uluru, situated 20 minutes away, in a hired car. It is advisable to book your car early to avoid any last-minute issues. If travelling by train, go on the legendary Ghan, running from Adelaide to Darwin. Get down at Alice Springs, from where coaches are easily accessible to Uluru. For road travel, Uluru is about 460 kms or a six-hour drive, southwest of Alice Springs. Drive along the popular Red Centre Way to take in the beautiful Australian Outback and make most of the photo ops. There are also buses and tours available to Uluru from Alice Springs. Parking facility is available in the park premises, free of charge, for all entry pass-holders. Get all information about Uluru from the Visitor Information Centre near the Desert Gardens Hotel. Or you can go to the information kiosks at the Ayers Rock Resort or Alice Springs. Trained staff at the Alice Springs Visitor Information Centre will guide you on your tour with helpful advice, recommendations and information. Also, you can book accommodation and get maps and brochures for road trips, to assist you during your travel. Toilets, shelter and drinking water are available, free of charge, at the Cultural Centre and the viewing area at Talinguru Nyakunytjaku. Choose from souvenirs, gifts, books, videos and clothing at Ininti, Alice Plaza, Ayers Rock Resort Shopping Centre, Maruku Retail Gallery or Mulgara Gallery. You can also choose from great cultural art pieces, handcrafted goods and clothing, and more. Also, find unique art pieces in glassware, pottery, textiles, metal and leather work designed by renowned artists, available to buy at all galleries. In case of any emergency dial 000, or 112 (for mobile phones). For all rangers emergency radios are available for free, to alert guides to any possible dangers during their trip. There are many dining options when visiting Uluru, available both inside and outside Uluru-Kata Tjuta National Park. The Cultural Centre in the park offers you many options too. Also, you can opt for barbeques or cafes in the area and enjoy some regional dishes. If you are looking forward to enjoying self-catered meals, gas barbecues and sheltered picnic areas are also available for free at the Cultural Centre. To conserve the dignity of the area, accommodation or camping facilities are not available inside Uluru-Kata Tjuta National Park. Instead, you can stay at the Ayers Rock Resort, at a 10-minute drive from both the park and the Ayers Rock Airport. Or else, book accommodation in Alice Springs or Yulara, both offering ample options for you to choose from. You can also opt for the Ayers Rock camp services and camp down about 15km from Uluru. You will find camping facilities ranging from air-conditioned cabins to powered sites for caravans, campervans, motor homes and camper trailers, apart from the conventional tent facilities on bare ground.